Southwinds Motel offers a beautiful view and is only minutes from Stockton lake. There is a picnic area equiped with grills & tables and an outdoor pool for guest use. Mt. Carmel Inn is pet friendly (up to 2 pets) and has available wi-fi. Rooms have walk out balconies with grills and seating. There is an outdoor pool and picnic area for guest use. Mt. Carmel Inn is located within walking distance of the Stockton State Park and Stockton Lake. Oak Park Motel is located in Greenfield and is within walking distance of the historical square and conveniently close to other businesses. 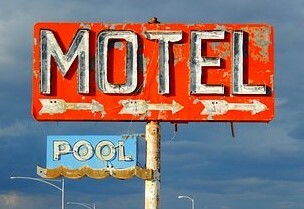 This motel is budget friendly and located right along the highway.